Magnified Healing® is a form of vibrational energy healing which was first introduced to the planet in 1983 by the Ascended Master Kwan Yin. Gisele King and Kathryn Anderson are the healers who originally channelled this energy and they have been responsible for sharing it with many teachers throughout the world ever since. It is a form of hands on healing but, rather than channelling energy and directing it into the body of the receiver, with Magnified Healing® you create the energy and consequently become it. You are a co-creator. It is a very simple yet powerful form of healing; you can clear all your past negative karma, build your “light” body (also known as your spiritual body) and activate all the strands of your DNA. It could almost be described as more of an Ascension Initiation rather than a healing practice even though it does heal on all levels: physical, emotional, mental, and spiritual. After attending a two day workshop and then working with this energy on yourself for 11 consecutive days you are then qualified to TEACH this healing modality. If you don’t wish to teach, you can still work with this energy to treat other people and yourself. It can also be used for planetary healing and for distance healing on people and animals. Hand on treatments are also available for people who wish to experience the amazing effects of this energy. Kway Yin is the Eastern counterpart to Mother Mary. 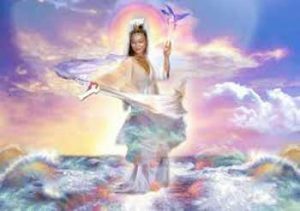 She had a 1,000 year incarnation in China where she was worshipped as a goddess.She is also known as Tara in Tibet and other parts of Asia and India and is a goddess of Mercy, Compassion and Forgivness. One of her tasks is to re empower women in the New Age and to bring forward the feminine wisdom within men. Along with Mother Mary and Isis, she is responsible for directing the healing activity to the mankind of earth. She also currently sits on the Karmic Board. 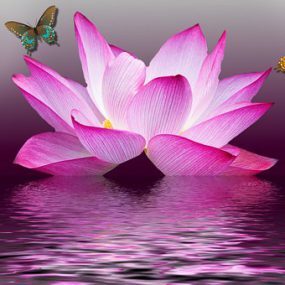 When she connects with people they ususally sense, feel or see the colour of magenta pink as well as feeling a wonderful sense of peace and love.